Beautiful homes require a stunning landscape around it and driveways play an important role in creating that first impression. The first thing people notice when they come over is your driveways. 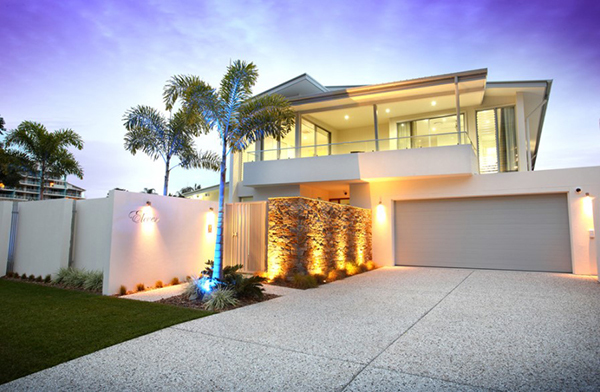 Driveway adds an overall appeal to the entire house which increases the market value of the property. With clever planning, it is possible to create an attractive as well as a durable driveway for your home. Whether you are building a new house or thinking about upgrading the existing one, consider getting concrete driveways. There are a variety of material choices for driveways such as concrete, paver, gravels, asphalt etc. available. However, concrete is the most preferred one among all as it is long lasting and can withstand different weather conditions and does not wear off easily. The concrete is used to build roadways and bridges because of its incredibly strong nature... The concrete driveways will not break or crack until the heavy vehicle strikes on it so one should be careful of it to ensure the longevity. The material cost for such driveways is very low. Concrete is inexpensive and requires low maintenance. 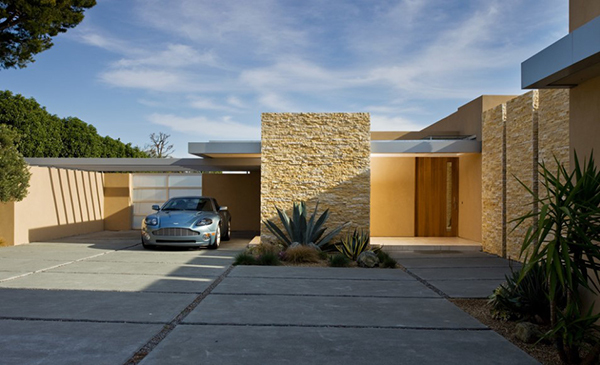 Concrete gives a modern and clean look to the driveways and helps enhance the overall appearance of the house. Get high-class appeal to the house and high resale value in the real estate market with a concrete driveway. 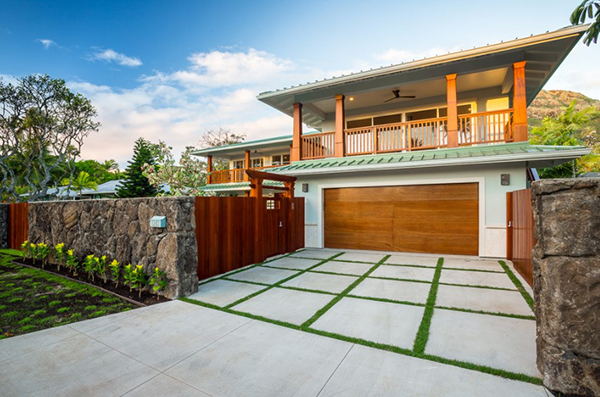 With a concrete driveway, there is no worry about spending hours in its maintenance. Warm water and detergent can be used to clean the driveway and granular cleaner once a year can help retain the natural look. Concrete is available in many different designs and colors that can be used to create a beautiful and classy driveway at your home. • Painted concrete: Older concrete driveways can be painted to give it a new look. You can hire experts to get the paint job done right or you can paint the driveway yourself using beautiful and bold colors. • Stained concrete: Natural look like marble or stone can be achieved using water-based stains. You can also opt for the acid-based stain to create a subtle earthly and different look. • Pebbled concrete: Exposed aggregate is the other name for pebbled concrete which is also called pebblecrete. Using a single color for the entire driveway and combing it with pebbles in different patterns and decorative techniques can create a beautiful driveway. • Stenciled: You can have stenciled patterns to make a special and unique driveway. Take help of stencils experts for different to get different stencil designs on your driveway. • Stamped concrete: Stamping along with stenciling can help create a concrete driveway. Patterns, textures, and designs created using this method give a unique look at the home. • Adding a border to the driveway can help create a classy look to the outdoors. Bordered edge of about 6’’ can be filled with contrasting color to bring extra charm. • It is possible to mix two types of finishes or patterns to create a different look to the driveway. • Choosing random colors for different areas of the driveway can give it an interesting look. • Geometrical patterns are always in fashion so you can never go wrong in choosing them for your house. You have to plan their placement to create a sophisticated look. • You can also think about creating a focal point in the driveway using some patterns, designs or logos. Circular driveways with such design work very well. • Mix concrete with grass to create an interesting pattern. • Smooth concrete in squares surrounded by rock yard looks stylish as well as modern. Check out which concrete material suitable for your modern home. If you’re looking for more ideas about concrete driveways than go through this link and find more useful information.